Amidst the countless articles on the internet now talking about employer branding, here is yet another one. But don’t close your tab just yet—we are approaching it from a different angle. In our recent interview with Terence Swee, we briefly touched upon the subject of Employer Branding. The founder of muvee shared that the company’s presence in Singapore was never really about their product; the branding in its home country has always focused on the people and culture of the workplace to attract potential employees. So, amidst the countless articles on the internet now talking about employer branding, here is yet another one. But don’t close your tab just yet—we’ll try a new angle. In an age where companies are looking to maximise productivity while keeping the talent pool lean and clean, Employer Branding has become an essential strategy for modern talent acquisition. The focus is on incorporating the company’s values into their workplace and work ethics, advertising the workplace culture rather than the product or service. Thereby you can either attract or repel potential employees. By doing so, the talent pool will be leaner and contain only—or at least significantly more—people that you’re looking for. Follow these 3 steps to getting your start-up on the right track. Okay, that’s almost three steps already but let’s treat it as one big one. According to Victor Ho, CEO of FiveStars, it is more important to have a well-defined workplace culture than none, even if it is a bad one. Employees need to know what they are working for, and having well-defined values gives them a purpose. When employees feel that they align with the company’s values, they will feel a sense of belonging, which will, in turn, reinforce their loyalty to the company. So show the potential employees out there what your workplace (culture) looks like. Facebook is a good example. They were rated on Glassdoor—a website where employees can rate and review employers—as the happiest company in Silicon Valley, and it’s no secret why. From their well-laid out campus that runs like a mini city to their open-concept, cubicle-less offices, the workplace is a living space of Facebook’s values: it is open and it builds social value. 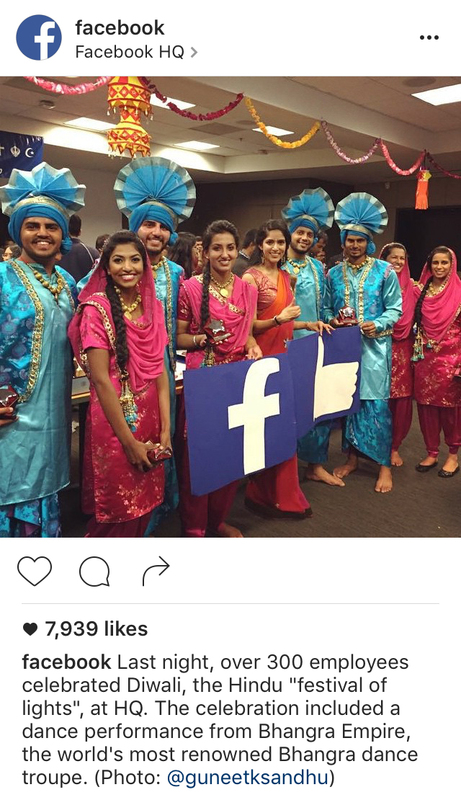 A photo on Facebook’s Instagram showing that the company is culturally diverse and inclusive (Posted 5 November 2014). It is not just their physical workplace that encompasses the core values; they are also evident in the things people do, and in the atmosphere around the office—all of which are showcased on the company’s Instagram page. A photo on Facebook’s Instagram page that is telling of the balance of work and play within the company (Posted 1 November 2014). Google, ranked as the second happiest company on Glassdoor, shares similar insights to its workplace culture on its Instagram too, albeit less intimately. As opposed to Facebook, you see a lot less of the actual employees. Still, they have a lot to showcase. 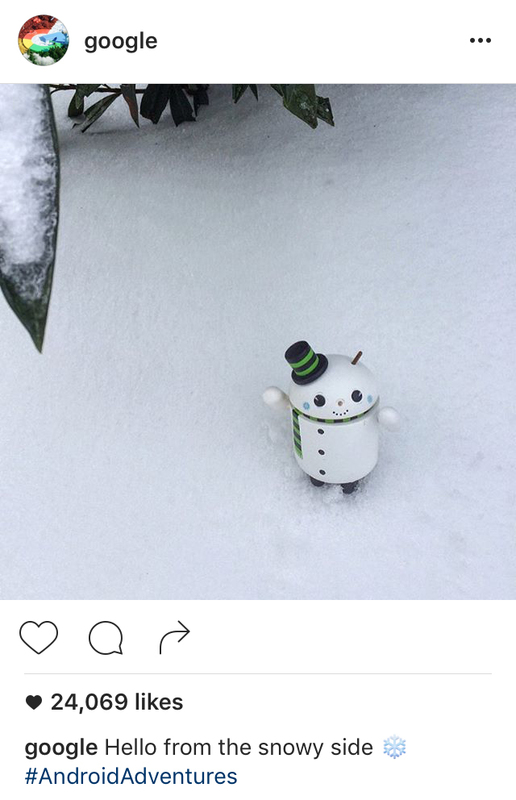 A photo on Google’s Instagram showing the little, fun things they do (Posted on 24 January 2016). From its creatively designed office space to the perks of having “free food”, Google does seem to put a lot of thought into ensuring that their staff is happy and well-fed. You know what they say about happy people: they are also more productive. Or maybe take a look at Airbnb. Working in Airbnb is a dream for many, so much so that the company received 180,000 CVs for 900 positions. Again, it is not hard to see why. Everything about the offices of Airbnb—from the way they are designed to the way things are run—are aligned with the company’s mission of creating a world where people can belong anywhere. Just like with conventional branding, you need to get your employer brand out there. Ideally, you want to be so good that your reputation spreads by word of mouth, just like in the case of Airbnb or Facebook. You will need to start somewhere, and there is no better way jump into the community than the use of social media. If Employer Branding involves the brand of the workplace and employees make up the workplace, then they are the perfect brand ambassadors. So show them off and let us see your team. Besides, doing that is a way of showing appreciation to your employees, and may ultimately boost their morale. We’ve already seen Facebook show off their employees, but if you were to browse through Mailchimp’s Instagram feed, you would see, apart from a pop of colours and lots of monkeys, many faces. Their Instagram posts of its staff are telling of the individuality that it embraces, and how, despite the diversity, the team is cohesive because everyone fits in the company culturally. 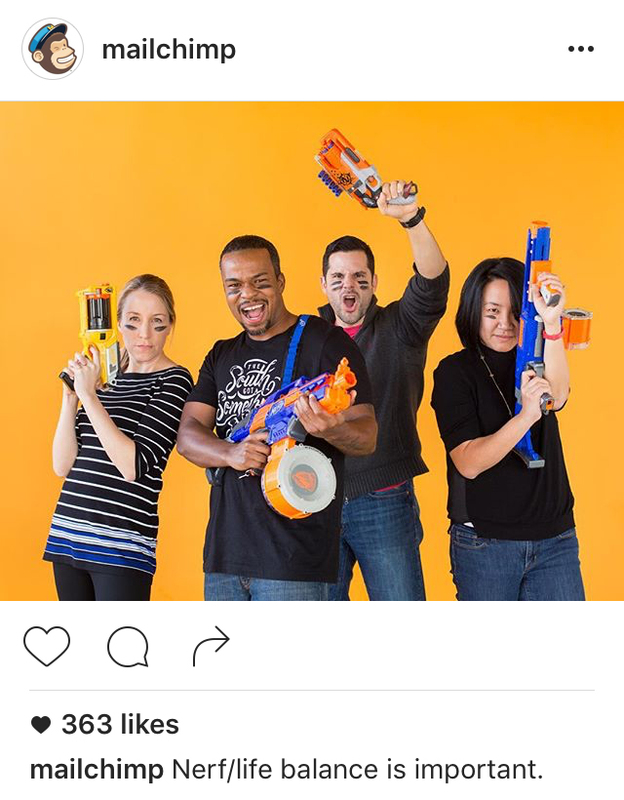 A photo from Mailchimp’s Instagram showing off that they take “Nerf/life balance” seriously (Posted 20 January 2016). 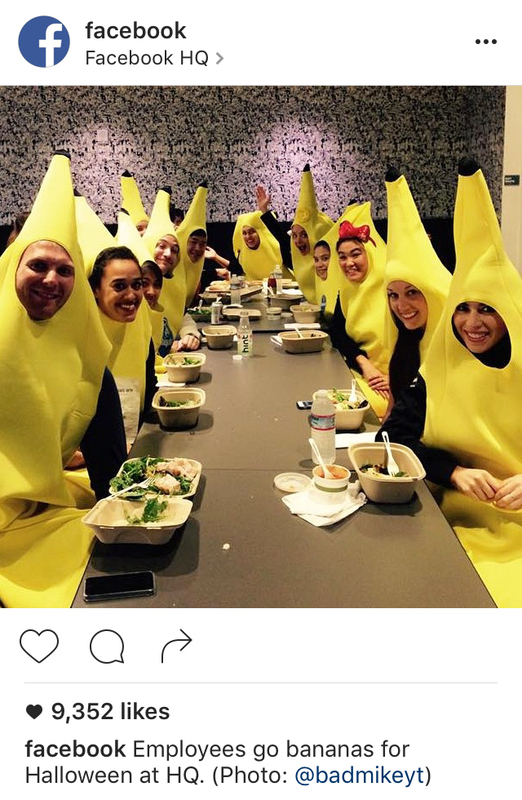 A photo from Mailchimp’s Instagram, showing off their recruiting team, giving potential candidates an insight into the type of people they will be working with (Posted on 28 February 2015). Even on their career page, Mailchimp’s tone of voice is consistent with its Instagram posts. Consistency is especially crucial because it shows people that the company practises what it preaches. The use of social media in Employer Branding is also a particularly useful platform for engaging with your audience. Even though your followers may not be active candidates looking for a job in your company, engaging with them may eventually convert them into evangelists, who could help market your employer brand by word of mouth—or better yet turn them into potential employees themselves. Proper engagement may activate the so-called passive candidates. For example, Tony Hsieh, CEO of Zappos, encourages his employees to put a human face on the company with the use of social media. Their Twitter account uses a direct and more casual tone of voice in their interactions with followers. 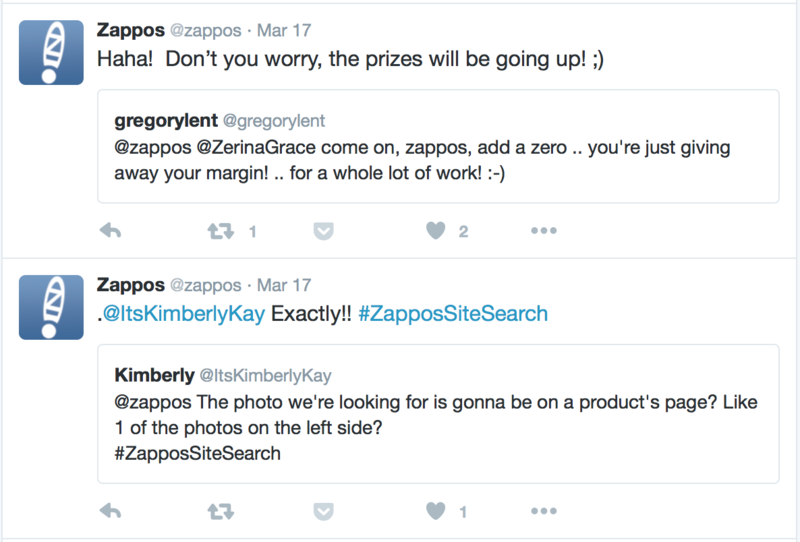 The Zappos Twitter account engages with its followers with a casual and approachable tone of voice (17 March 2016). 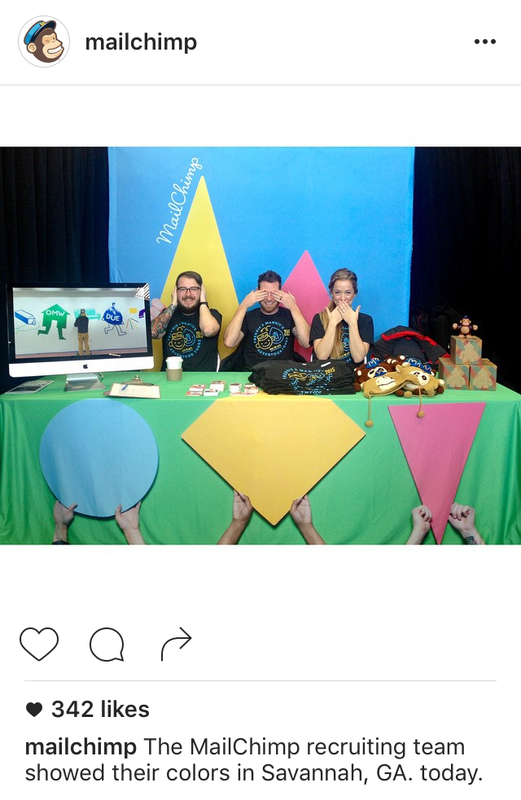 Social media aside, companies can immerse in the community by participating in conferences or events. Events such as the Airbnb Open, for example—an annual convention where hosts gather for workshops and presentation—reinforces the company’s desire to connect people. Even if the customers of Zappos or Airbnb are not actively seeking out a job, their engagement with the company may move them to consider those companies as a potential workplace. Employer branding works to appeal to what millennials are looking for in a career—transparency, flexibility, a work-life balance, freedom to express individuality… and the list goes on. Companies like Facebook and Google are known for their perks, inciting envy in many millennials, and a desire to work for them. Some people, though, maybe less likely to apply after seeing this sort of workplace on Instagram. They may not like the quirkiness and prefer a quiet, more conventional office. So branding the workplace and showcasing it on social media may actually keep candidates from sending in their résumé—which is a good thing. Employers have realised that the attitude they convey about the workplace may attract or repel people (not everyone takes well to dressing up as a banana), and as a result, will narrow down their talent pool to a group of people whose values resonate strongly with the company’s work ethics and workplace culture. So people with an attitude unfit for the workplace will be weeded out before the application process even starts. Having a talent pipeline that fits the company culturally is crucial to ensuring that the staff are engaged and have a sense of belonging, which will, in turn, result in increased productivity and reduced turnover.